You will earn 4100.00 bonus points. ? 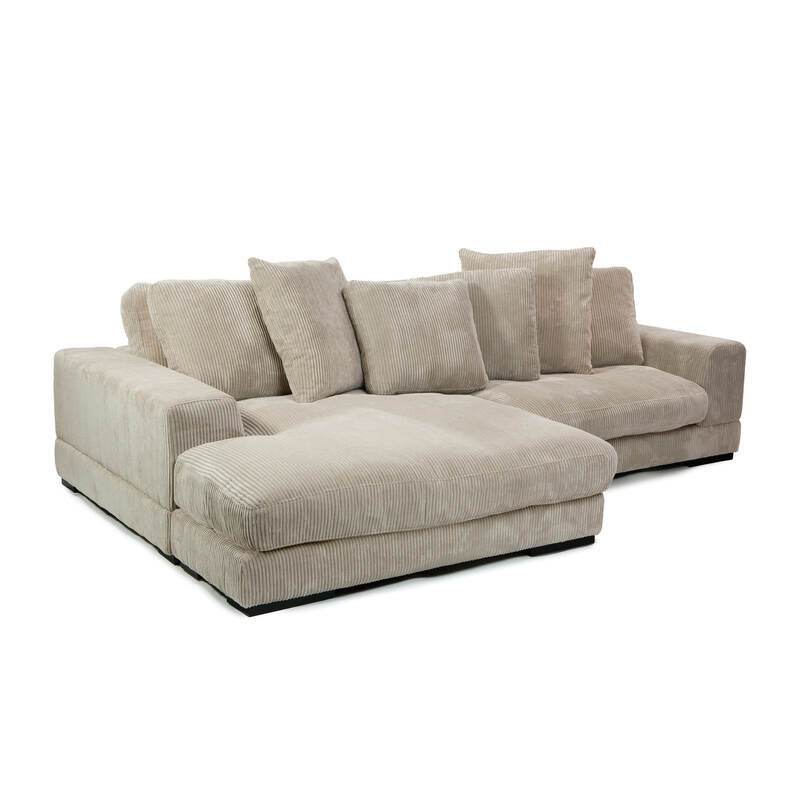 The Plunge Sectional features deep, soft seating perfect for watching movies on a rainy day. The "flip style" chaise is both left and right side facing; just slide the ottoman over and flip the L-shaped cushion. Seat Fill Material Details: 50% Dacon, 50% foam Back Fill Material Details: 50% Dacon, 50% foam Part of Plunge collection. Dimensions : 106"W 46"D 34"H Product Weight : 242lbs. Seat Height : 15" Seat Depth : 23" Chaise Length: 70'' Color : Cappuccino. Assembly is not required. Made in China. We are offering 1 year limited warranty (covered for any manufacturer's defect); Frame : Solid Eucalyptus Wood & Plywood Frame; Cover : 100% Polyester Corduroy; Filled with: Seat Cushion: Foam, Dacron (Density: 18kg/m3-28kg/m3); Back Cushion: Dacron; Other materials: Solid Rubber Wood Legs We understand how important your home is and how decorating your kitchen, dining room or bedrooms with classy, contemporary furnishings can help make it a place that reflects who you are. We believe in the power modern furniture has in creating not just a home but YOUR home. We believe in feeling good about our home's environment, and we think you do too.